The tongue is a post; Bhajan of the Name of God is the rope; with that rope, you can bring God Almighty near you and tie Him up, so that His Grace becomes yours. God is so kind that He will yield to your prayers and be bound. You have only to call on Him, to be by your side, with you, leading you and guiding you. 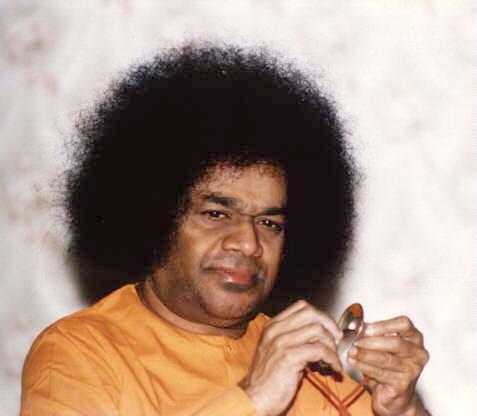 Bhajan is one of the processes by which you can train the mind to expand into eternal values. Teach the mind to revel in the glory and majesty of God; wean it away from petty horizons of pleasure. Bhajan induces in you a desire for experiencing the Truth, to glimpse the beauty that is God; to taste the bliss that is the self. It encourages man to dive into himself and be genuinely his real self.